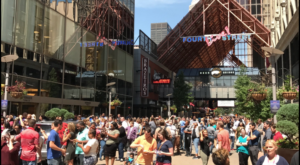 As you spend your life going about your day in Louisville, you probably don’t spend much time thinking about the natural wonders that can be found so close to our city. 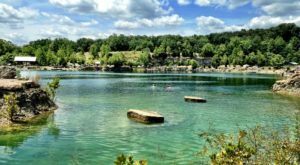 While there is plenty to do within the city limits, a little time in the car can take you to a number of incredible spots throughout Kentucky. 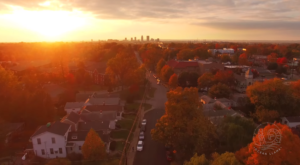 One such place near Louisville truly must be seen to be believed. Diamond Caverns is a hidden gem south of the city and this amazing rock formation is one of the best excursions you can take from Louisville. 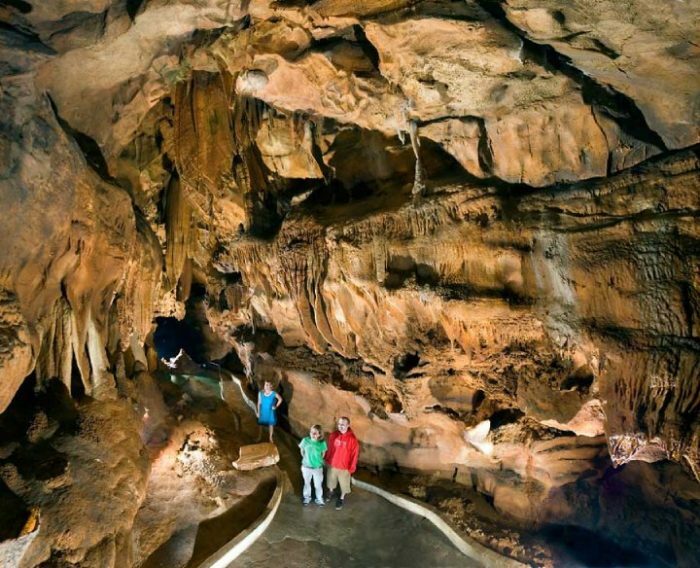 Located adjacent to Mammoth Cave National Park in Park City, Diamond Caverns is an incredible rock formation near Louisville that should not be missed. 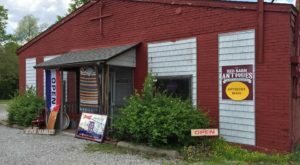 A short 90-minute drive south will bring you to this unique area of Kentucky that is filled with history and mysterious underground adventures. 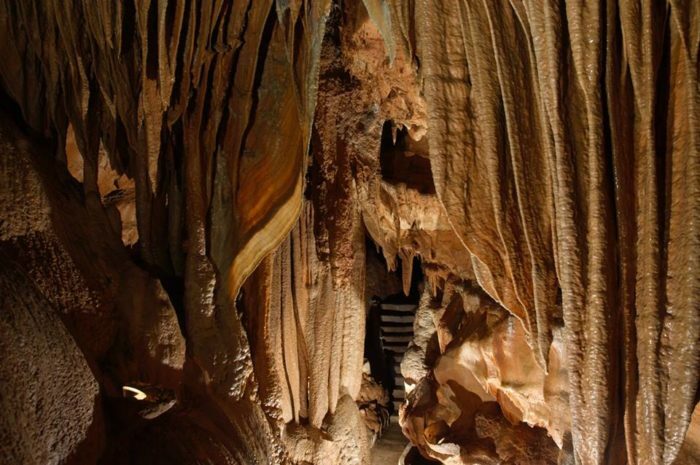 Diamond Caverns has been giving public tours for more than 155 years, making it one of the most longstanding excursions in Kentucky. 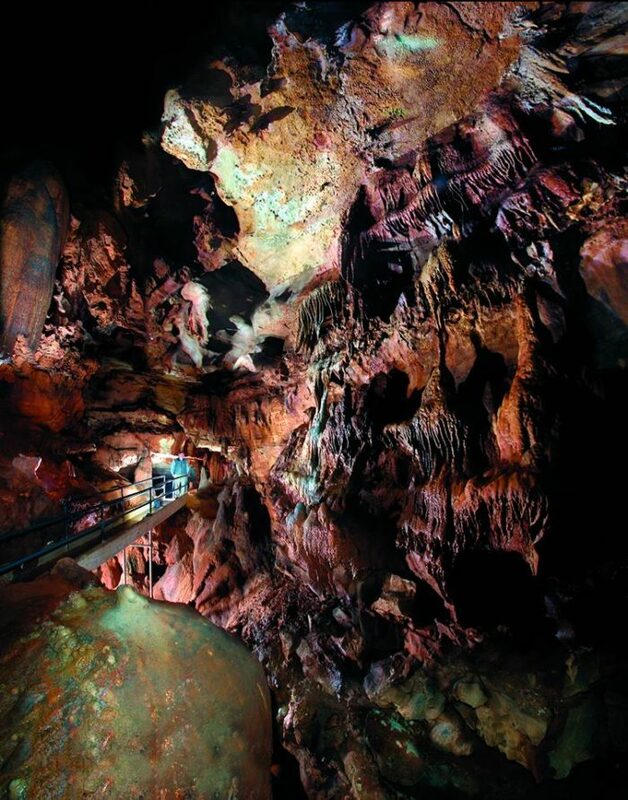 The cavern is open year-round and they offer an hour-long guided tour. 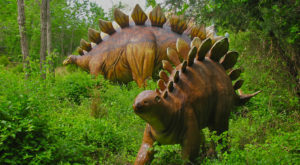 The tour is led by a knowledgeable and friendly guide who will take you along a paved pathway through unbelievable open spaces, tunnels, and formations. There are 350 stairs, although no more than 50 at a time, and the tour is marked as strenuous, but geared toward fun for the entire family. The history of the cavern is as intriguing as the formations that decorate its interior. You'll learn all about how the cavern was discovered and how it has been shared with the public all these years. If you're interested in the scientific aspects of the cave, you'll have plenty of opportunities to learn about that as well. 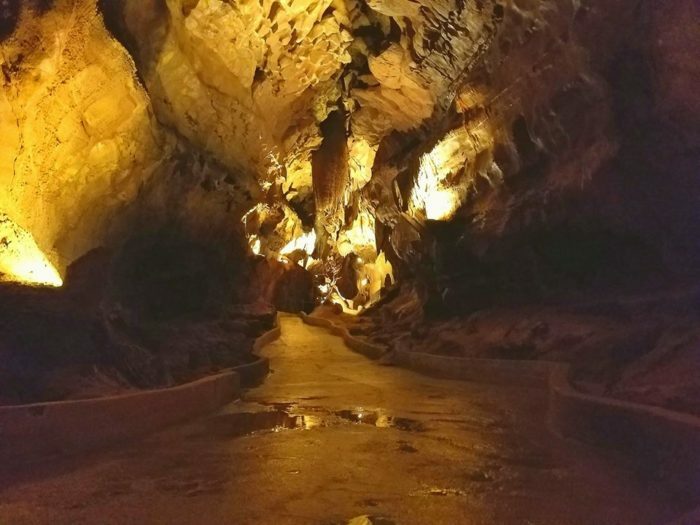 Diamond Caverns is a natural wonder, hidden in Kentucky, and should not be ignored by those in Louisville looking for a unique day trip. Just as a diamond sparkles and stands out, this cavern is a treasured destination and one that is even more magnificent when you see it in person. 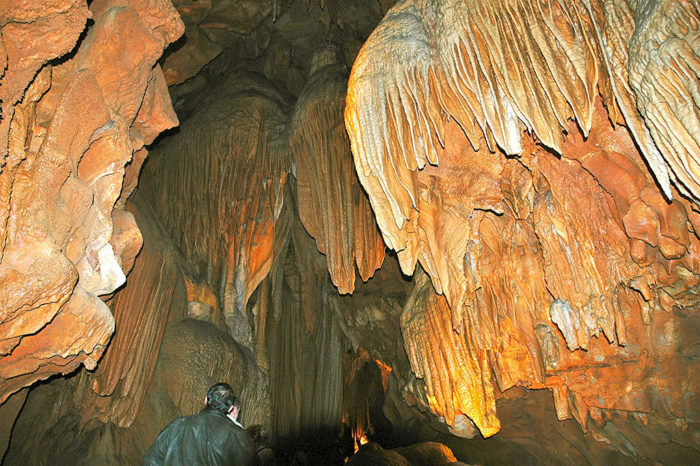 Diamond Caverns is so incredible you really won’t understand its wonder until you visit. 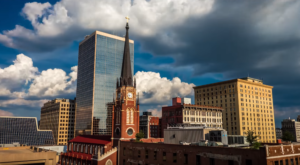 Have you toured this hidden gem? Or any of the other famous Kentucky caves? Let us know in the comments! 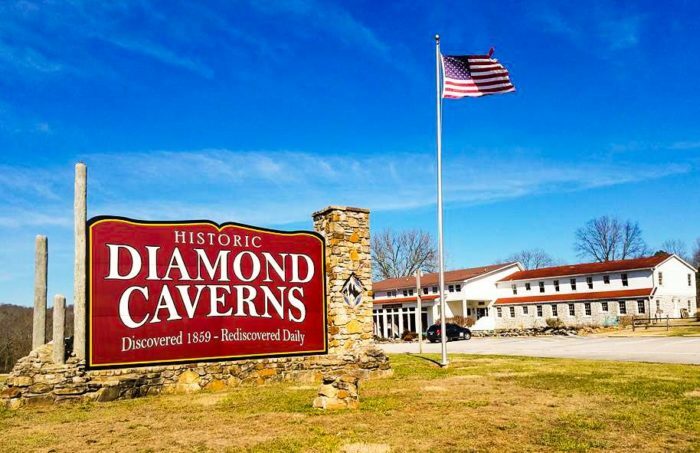 Diamond Caverns is located at 1900 Mammoth Cave Parkway Park City, KY 42160. 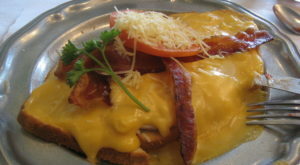 For more information, visit their website here. 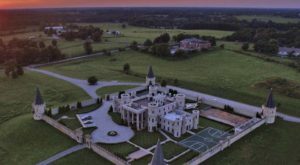 And for more unique trips to take near Louisville, check out our previous article here.